Crap Table Top Turns a Regular or Pool Table Into a Crap Table! 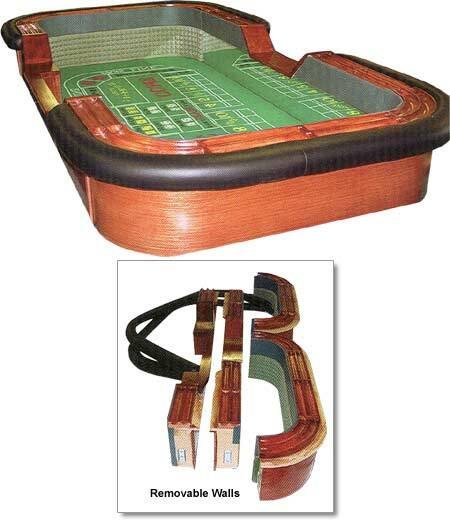 Our Craps Table Top features overall Oak construction, a casino green layout/playing surface, plus two mirrored and two rail-rubber-topped inside walls. All parts are removable for easy storage. Each top measures 88" by 44" and weighs approximately 400 lbs. (total weight for all parts together). For additional information on any of our Crap Tables and Tops, please feel free to contact us at 1-800-233-0828.